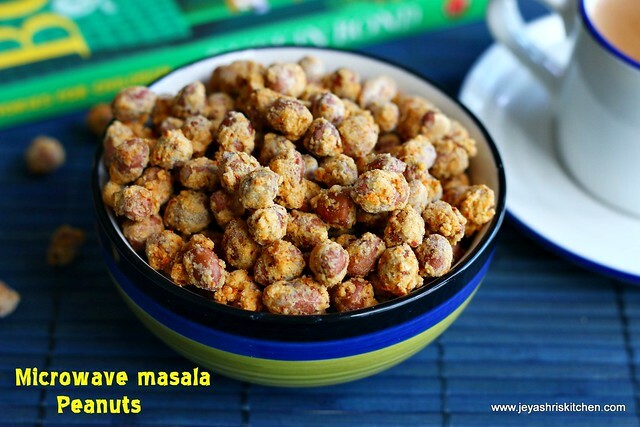 Masala peanuts is an quite addictive snack. 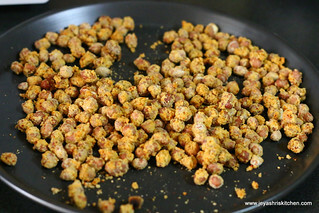 I have posted a deep fried version of Masala peanuts but this is a low fat version of making in microwave. 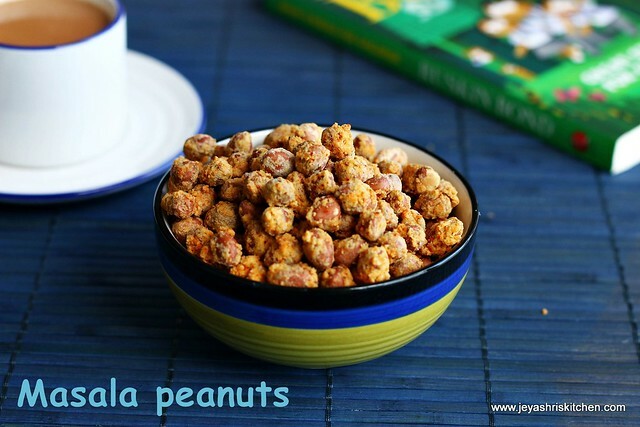 It is quite addictive and a perfect tea time snack too. Sometimes if you run out of veggies this can be had with sambar rice or curd rice too. 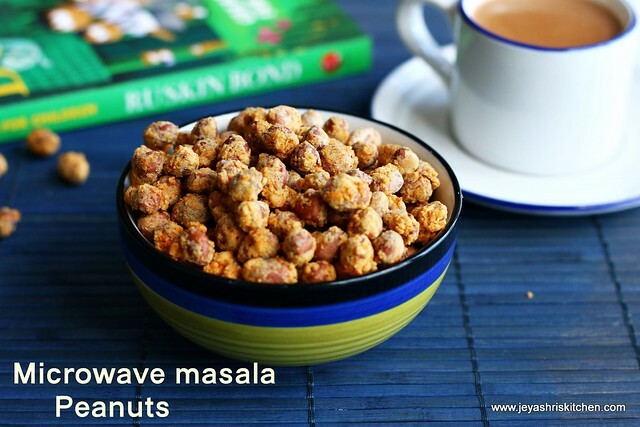 Try out this microwave version of salted masala peanuts (a guilt free low fat snack) and enjoy your Tea time. I adapted this recipe from Nisha madulika's video. 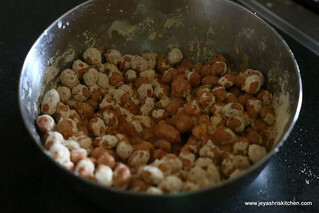 In a wide vessel add the besan, chili powder, garam masala ,salt and cooking soda. 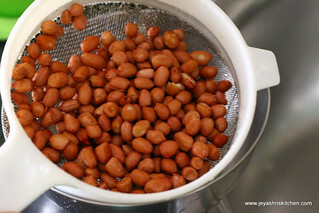 Wash the peanuts and drain the excess water. 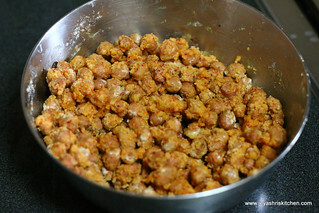 Add the besan mixture to the peanuts and coat the masala evenly. Sprinkle little water and add the oil and mix it well to make an even coating. Spread this in a microwave safe plate and microwave high for 3 minutes. Stir in between. Again microwave in high for 3-4 minutes till it becomes crispy. Be careful as it may burn soon. Open and stir in between. 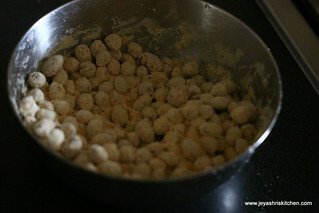 Once done take it out and sprinkle with chaat masala and mix well. 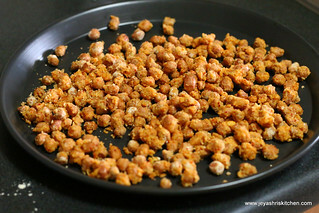 Microwave crispy peanuts are ready to eat. I had with Ginger cardamom tea on a rainy day evening. Addition of spices is truly of your choice. 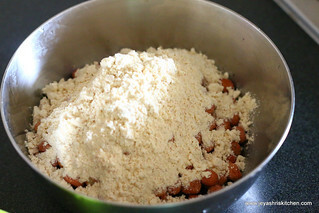 You can add amchoor powder, fennel powder too. Timing varies from microwave to microwave. 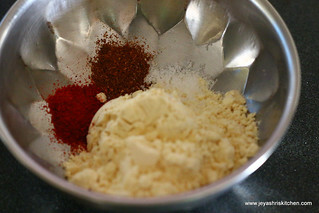 As chaat masala has salt in it add salt accordingly. Are the peanuts- raw or roasted? Easy enough to try. wat a yummy healthy guilt free snack..
Hope you are doing good. Wanted to ask do we need to add baking soda or powder in it (as description and list of ingredients contradict each other). I just made one batch using baking soda, it came out absolutely wonderful. Pls tell if/how we can do it on a stove top? Shall I omit cooking soda? Will it come good?